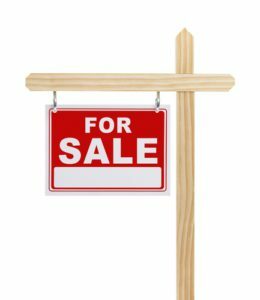 You are here: Home » Blogging » Why is Your Loft Not Selling? Why is Your Loft Not Selling? Has your Loft been on the market for quite some time with no offers? Have you been watching while other Lofts in your neighborhood sell within days of listing? Are you frustrated and worried that you may never find a buyer? If you’re having trouble selling your Loft, it’s time to take a good look at what you’re offering. Here are common problems that cause Lofts to languish on the market. Even in a seller’s market, there are limits to how high you can price your Loft. Determining the best price for your Loft can be tricky. Enlisting the help of a real estate professional who is an expert in your market can be a huge asset. They will know what the comps are for your area and how your Loft stacks up to the competition. They will also be well versed in the market trends that are currently affecting housing prices in your area, and can adjust your asking price accordingly. If your Loft isn’t selling, examining your asking price is one of the first steps you should take. If you want to get your full asking price, you need to pay special attention to the condition of your Loft. If your Loft falls short in any way from other properties available in your area, it could cause it to not sell. Are there improvements you could make to your Loft that would make it more appealing to buyers? This could include sprucing up your curb appeal, making cosmetic changes to the interior, and addressing repairs like holes in the walls or leaky faucets. Many buyers do their first Loft searches online. This means that the photos you take of your Loft are the first things potential buyers will see. Your photos can either entice them to see more or turn them off. Take a look at your listing photos. Do they highlight your Loft’s best features, or are you leaving too much to the imagination? Consider hiring a professional photographer to shoot flattering photos of your Loft for your listing. When buyers walk into a Loft, they want to be able to envision themselves living there. That can be hard to do if you have too much personal clutter in your Loft. Buyers may not (and probably will not) share the same tastes as you, so it’s imperative you remove personal items and clutter before showing the Loft. Selling a Loft is an inconvenience to those currently living in it. But it’s an unavoidable price of doing business. If you make it hard for buyers to come see your Loft in person, it’s more likely to sit on the market. If you have renters, consider waiting until the renters have vacated before showing the Loft. If you are currently living there, be reasonable about allowing agents to show your Loft as necessary. It could be the difference between selling your Loft quickly and for a good price, or waiting weeks or even months before you get an offer.